The author has put together life-stories of 19 Super Couples who kick-started their start-ups and carved a niche in the mainstream industry. Every story is very engaging and inspiring. The experiences of couples portraying crests and troughs of couple-preneurs with quotes describing their milestones keep the readers hooked. The book talks about the modern day challenges the couples have to face and their incredible ability to come out of everything smoothly. 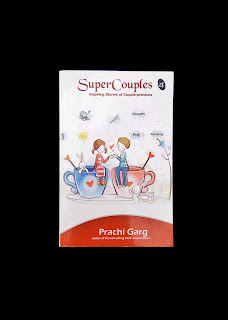 The book has success stories of entrepreneur couples & their start-ups. This can also be a good read if you are looking for some start up ideas.